'The Loch Ness Monster Biting a Fish' Ring. 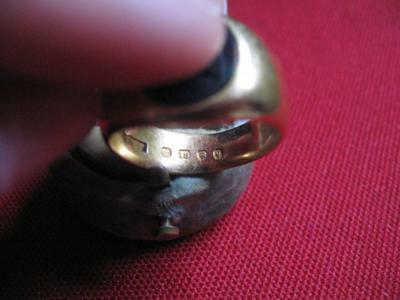 Why are there two letters symbols on this ring? Not sure where it's from. 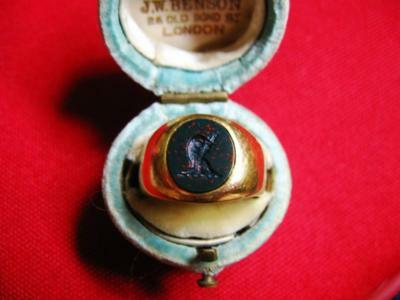 It has a bloodstone with a design of Loch Ness Monster biting a fish. Perhaps a family's crest. 'Head of Jaguar' which I know it's an Essay Office in London? 'q' which I calculate year 1863. 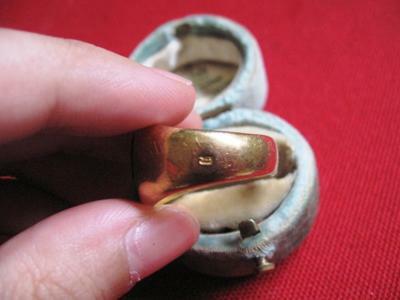 For the outer ring, there's a symbol of letter 'h' which I calculate the year 1871. Everything is on the inner ring. Only the letter 'h' is on the outer.